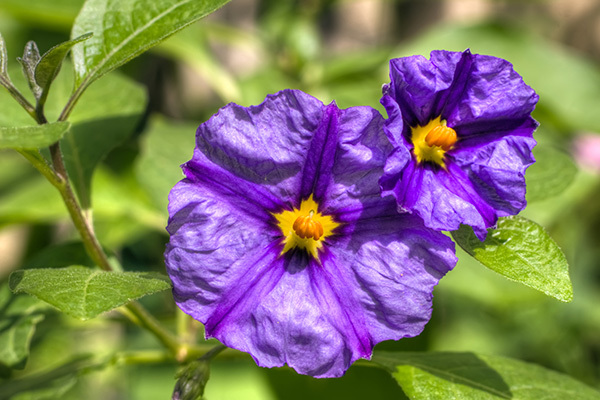 Solanum can be either purple flowering bushes or trees. Loves water and loves to be pruned. Looks good trained upright and pruned into a round head.